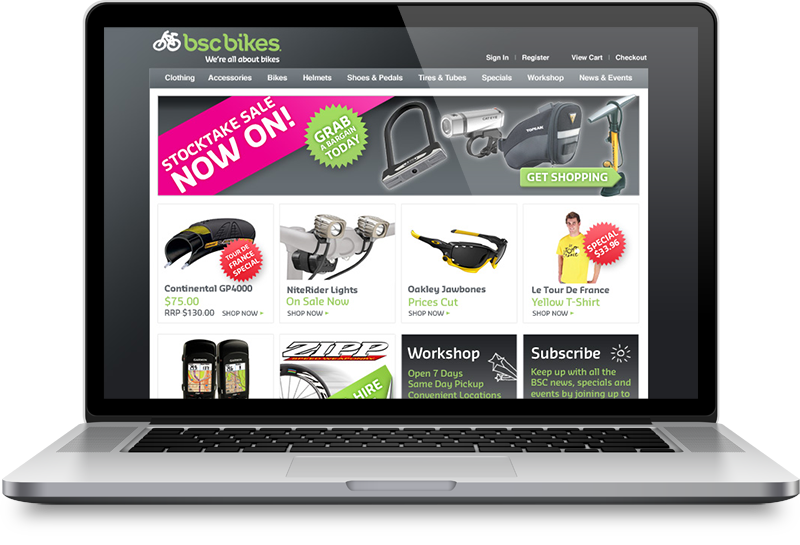 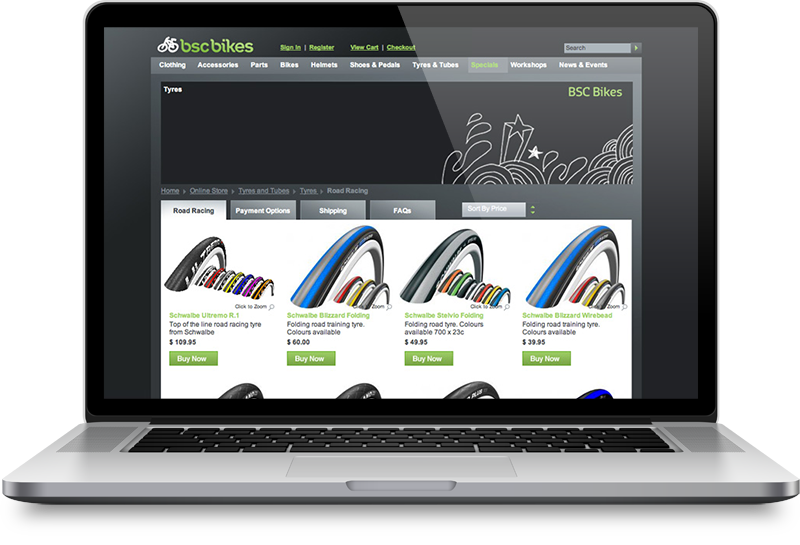 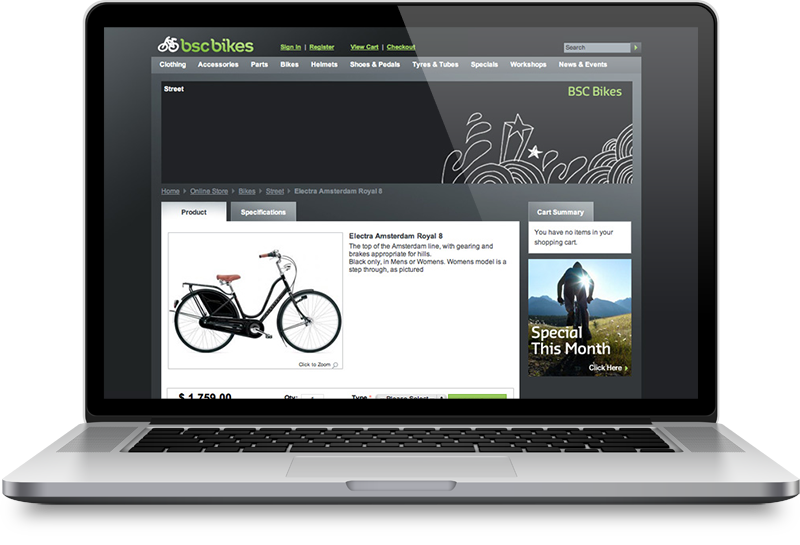 I assisted in bringing BSC Bikes new brand and e-commerce website design to life. 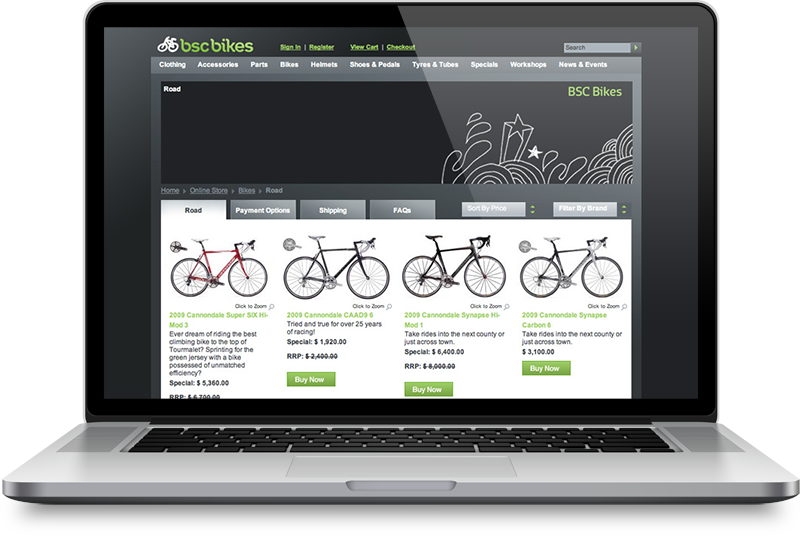 Including design enhancements, A / B testing techniques, user experience and interaction enhancements. 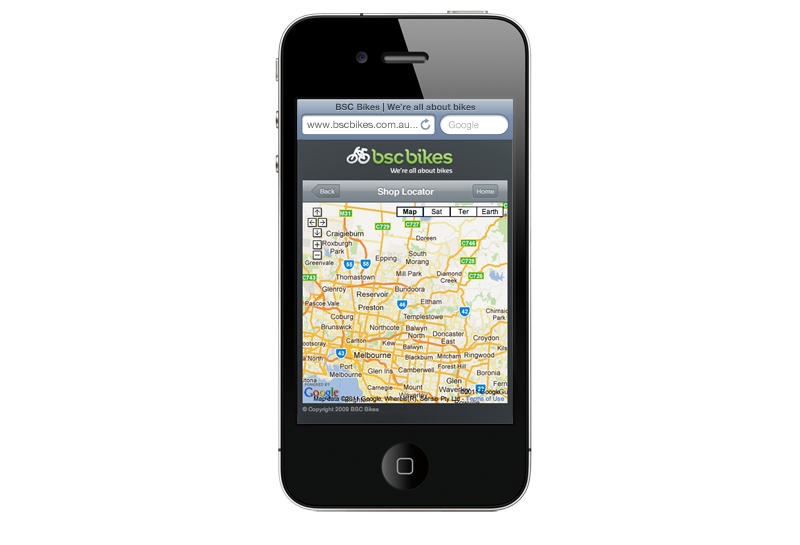 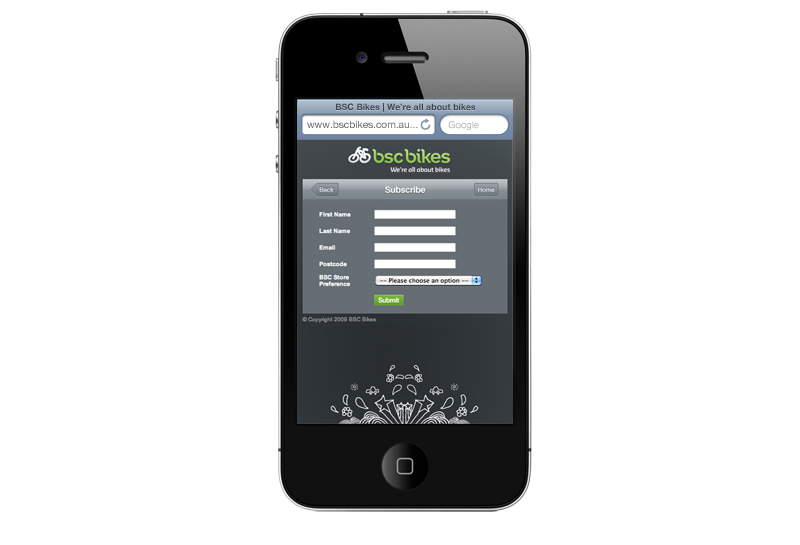 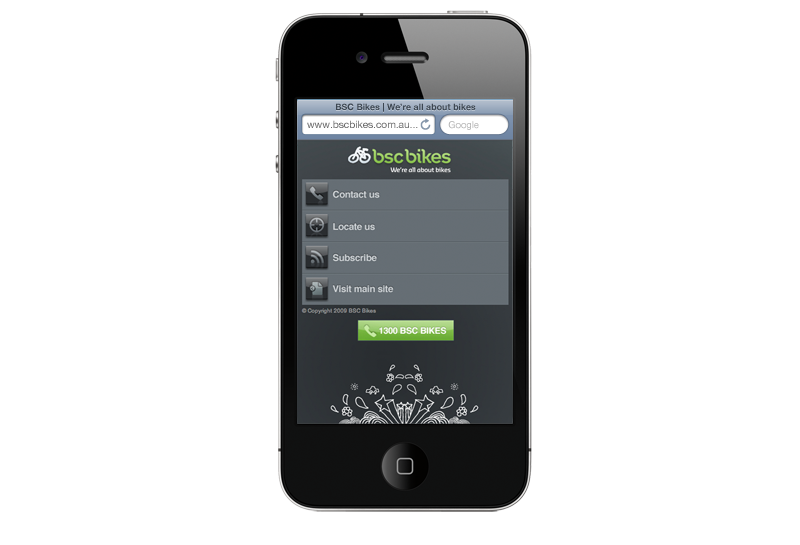 In combination with ongoing marketing collateral and advertising I was involved in designing and building the BSC Bikes mobile website optimised for all mobile devices. 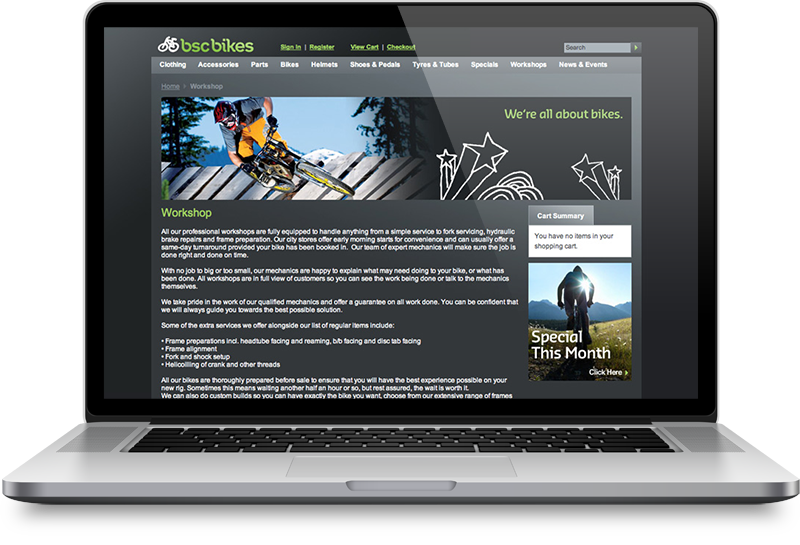 Created while employed at On Q Design.